United Way of the Greater Capital Region Partners with AIM - AIM Services, Inc. In the Summer of 2018, AIM Services received an Investment Grant from United Way of the Greater Capital Region. The Grant specifically brought much needed funding to AIM Services’ Person-Centered Enhanced Respite Program. United Way of the Greater Capital Region works to advance the common good in the Greater Capital Region by investing in the building blocks for a good life. Their philosophy is that together, united, we accomplish more than any one person or single agency could alone. United Way understands that the challenges our community faces can seem overwhelming. But change is possible when we pool our dollars, our expertise and our effort, and focus on the issues that matter most, to help those who need it the most, in ways that achieve the greatest impact. What is AIM Services’ Enhanced Respite? 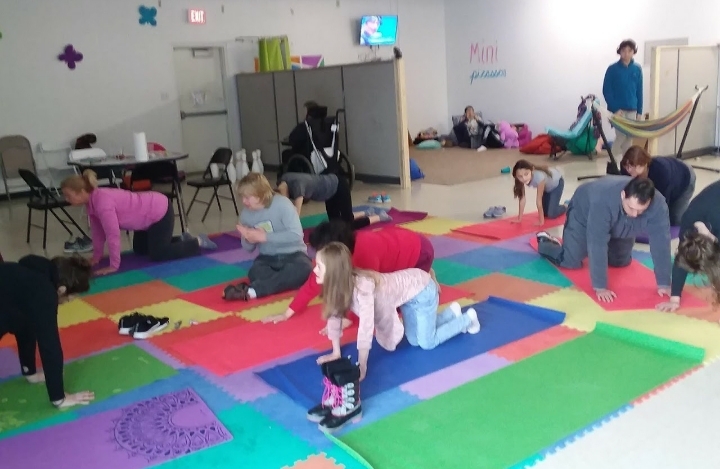 AIM Services’ Enhanced Respite Program is defined by an intensive focus, together with an individual’s school and family, on providing consistent tools to support a child at home, at school, and in their communities. An experience-rich life in the community directly impacts an individual’s social, emotional and intellectual development. Building relationships with community providers, educating the community about this program, and extending social networks and friendships in the person’s life are integral pieces of this development. As a result, there is decrease in isolation, segregation and restricted opportunities. 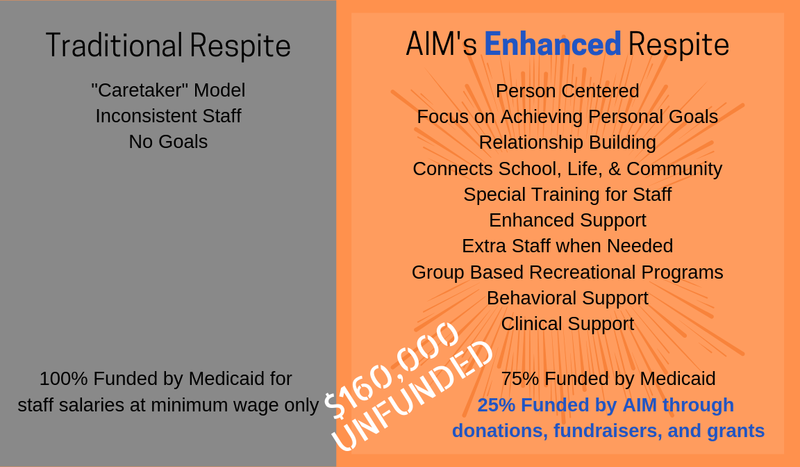 What are the Differences Between AIM Services’ Enhanced Respite and Traditional Respite? It is the very lack of funding for the Enhancement of the Respite Program that led AIM Services to discover the incredible giving opportunities offered by United Way of the Greater Capital Region. This special partnership ensures that Enhanced Respite remains as an option to every person we support. 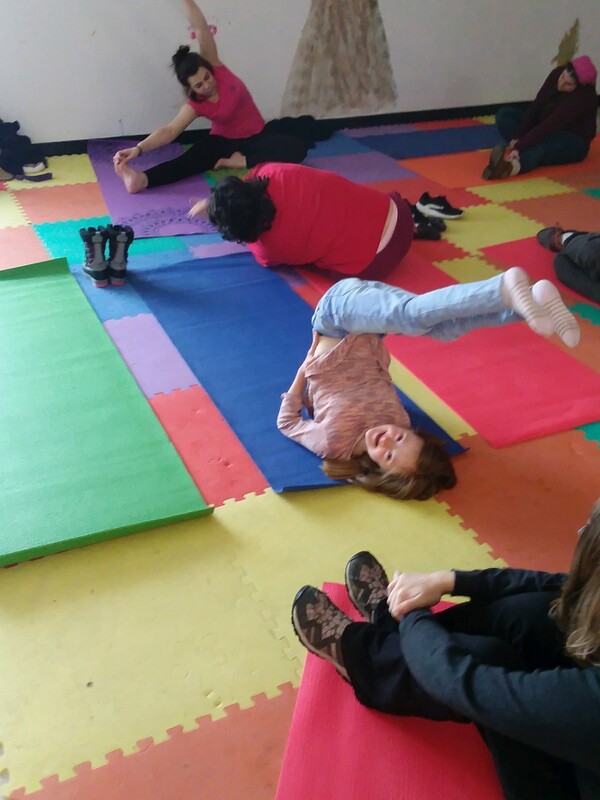 Even more, it is this type of partnership that helps our community become more aware of the opportunities offered by AIM Services, to invest in the future of individuals of diverse abilities, and to align themselves to the goal of a more inclusive community.